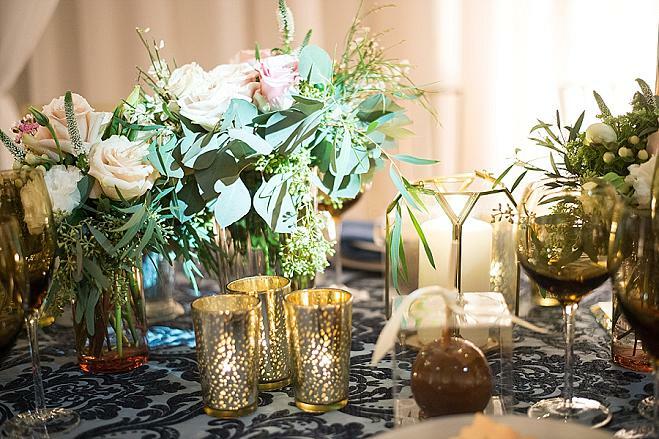 Playing by the seasons is hardly a rule in sunny Southern California, considering our version of winter is a gray rainy day where the temperature rockets down to 55 degrees (break out the Uggs and scarves!). 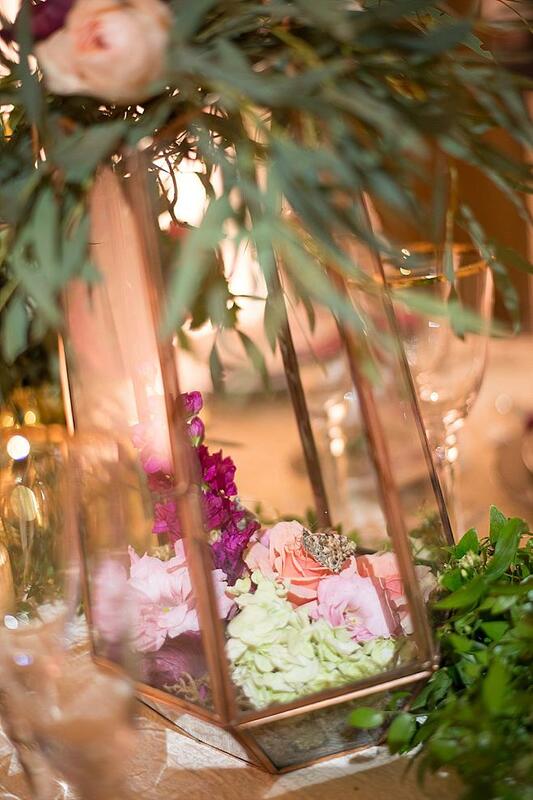 Sunny, partly sunny, thinking about rain and a random rain shower are the four seasons we know best. 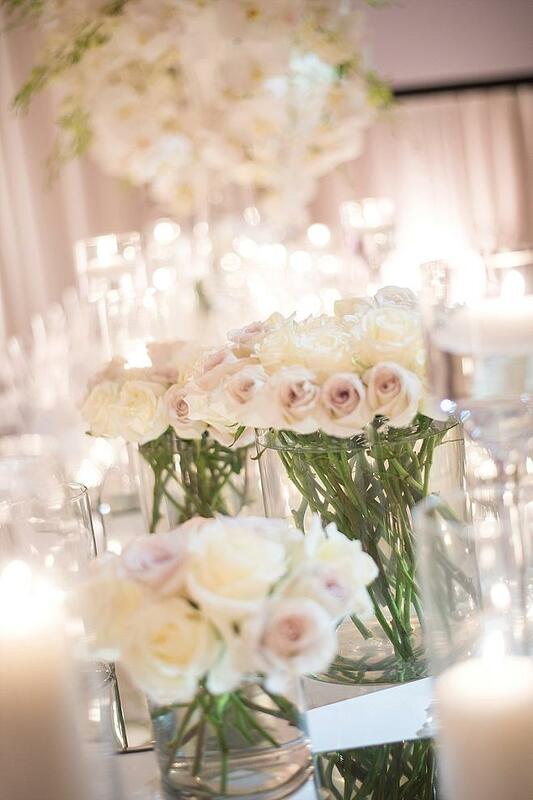 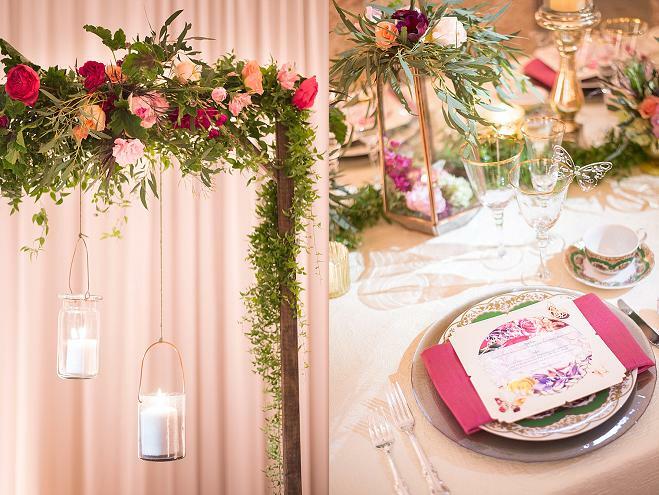 But that being said, nothing makes our hearts sing like beautiful seasonally inspired wedding designs. 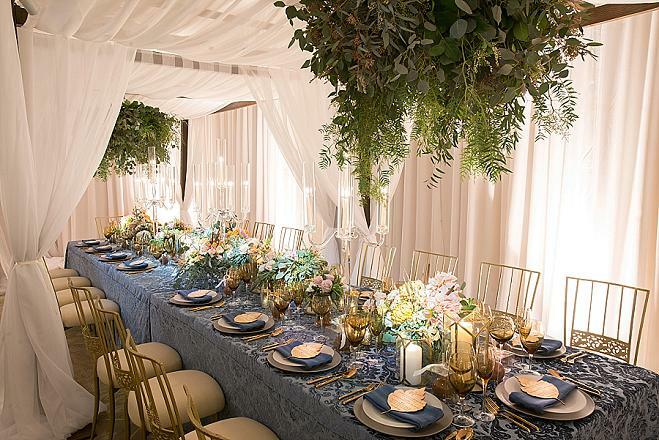 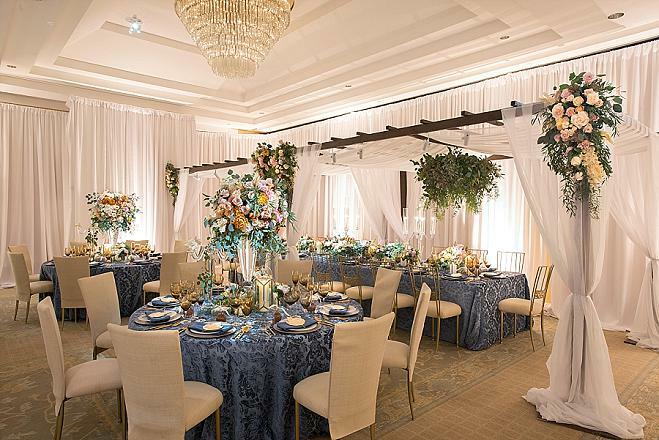 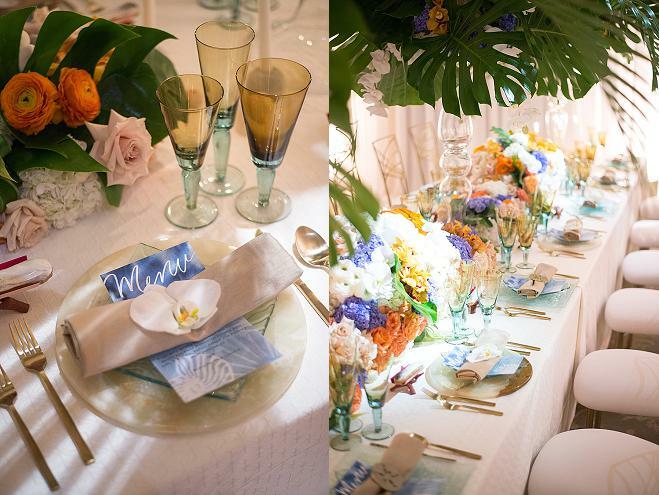 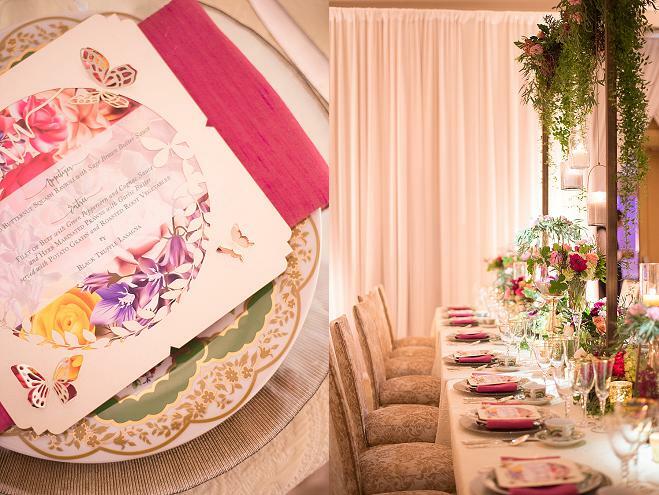 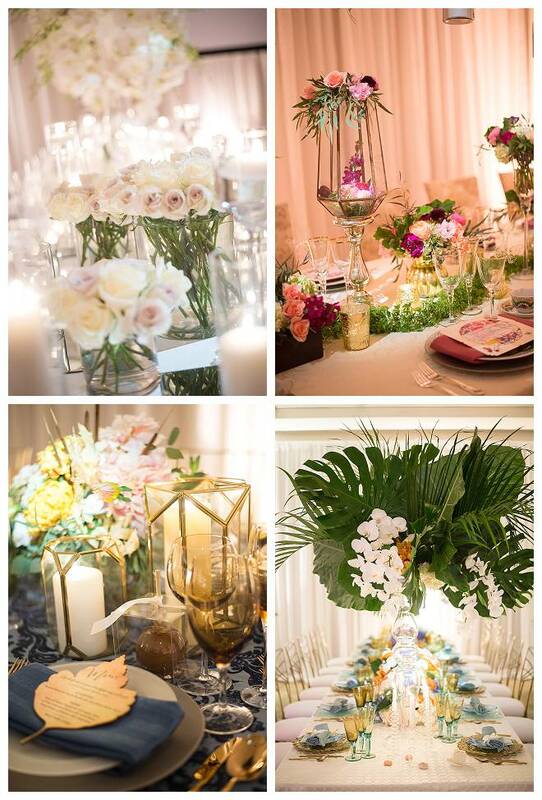 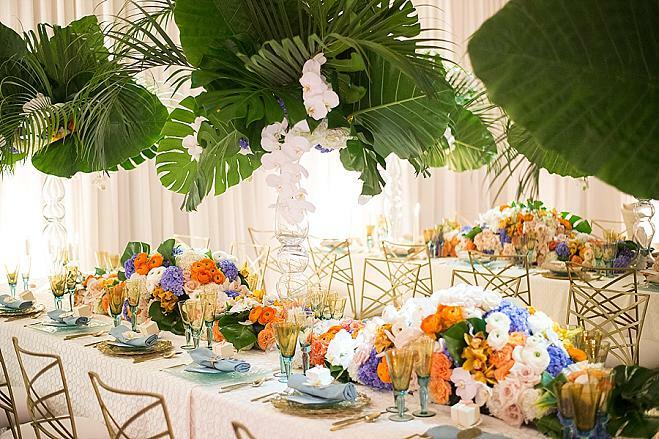 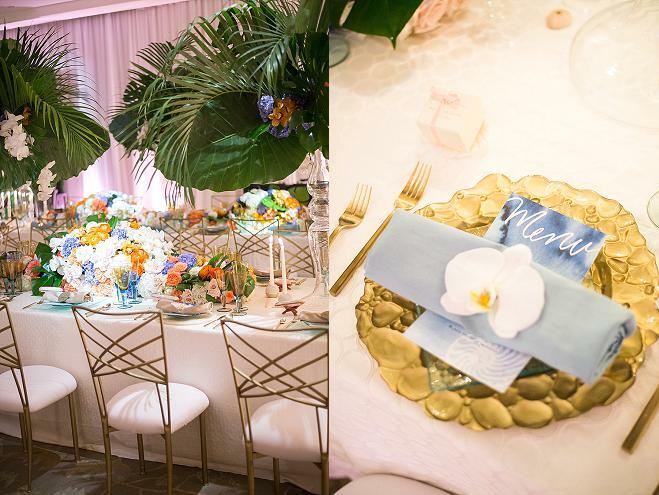 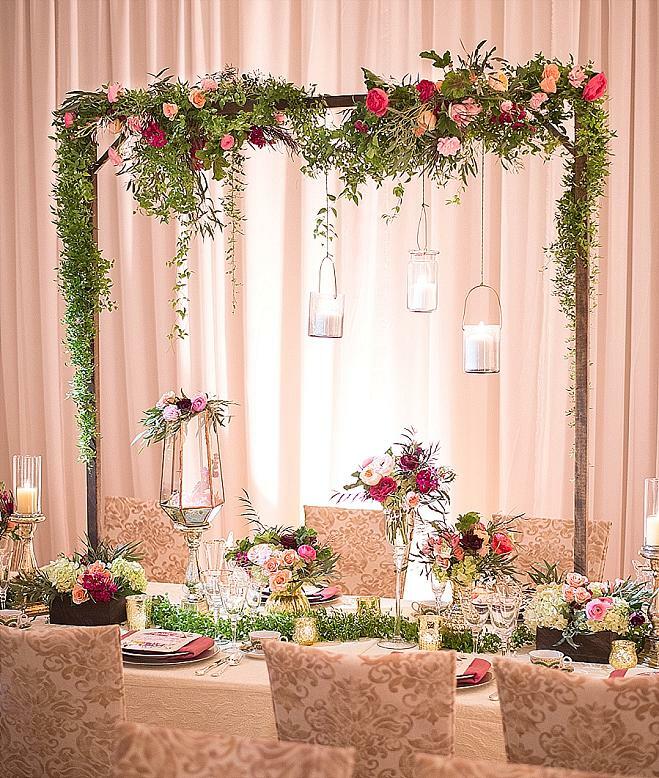 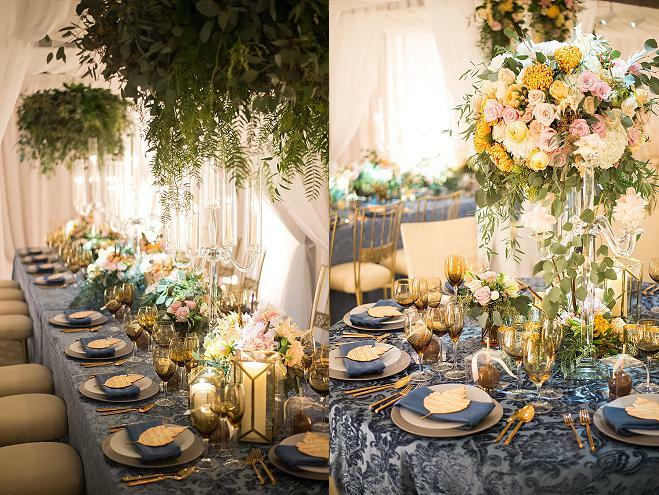 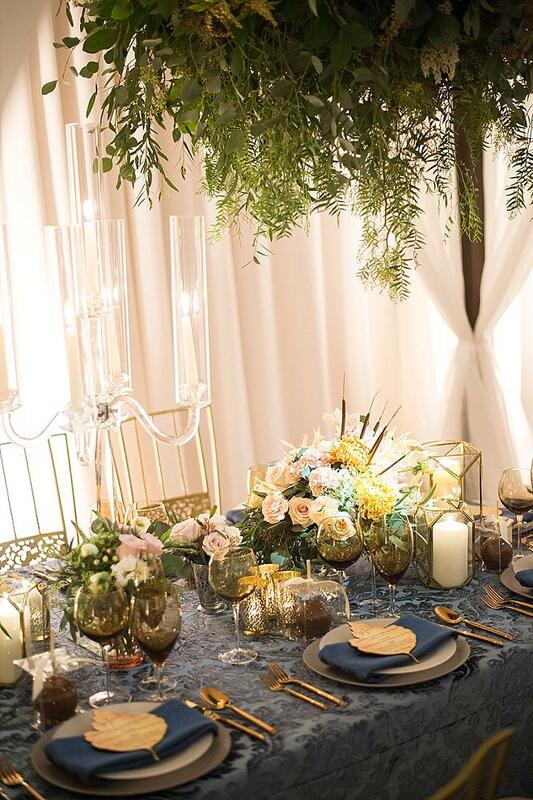 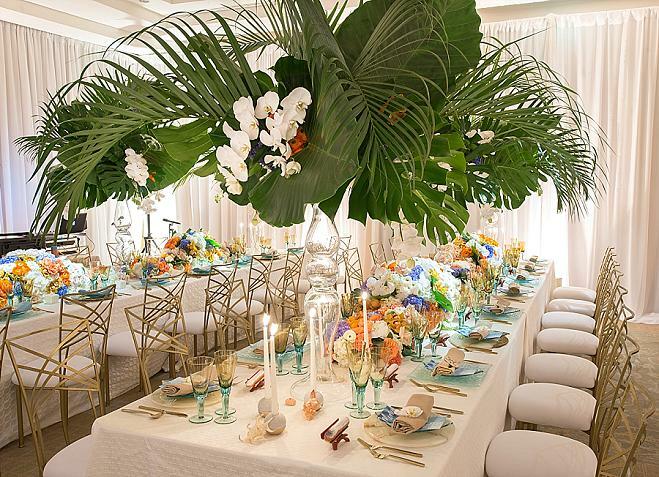 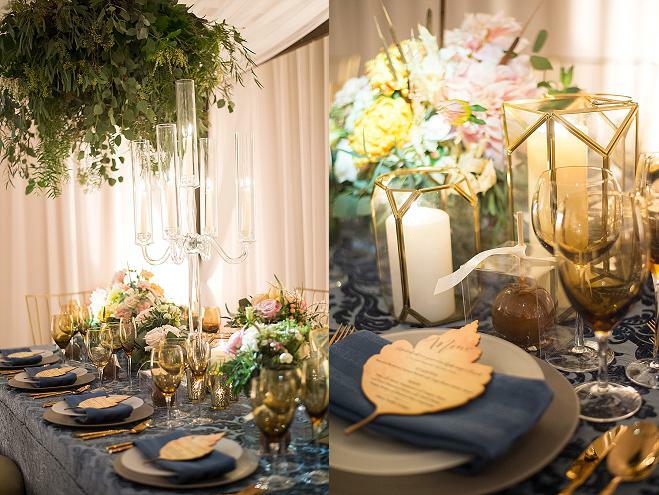 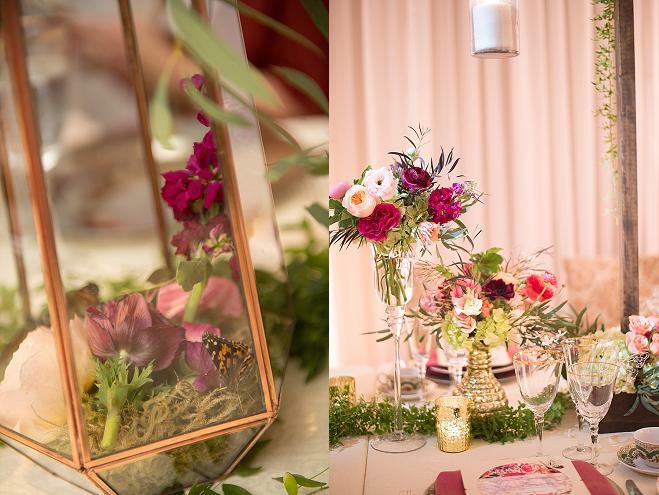 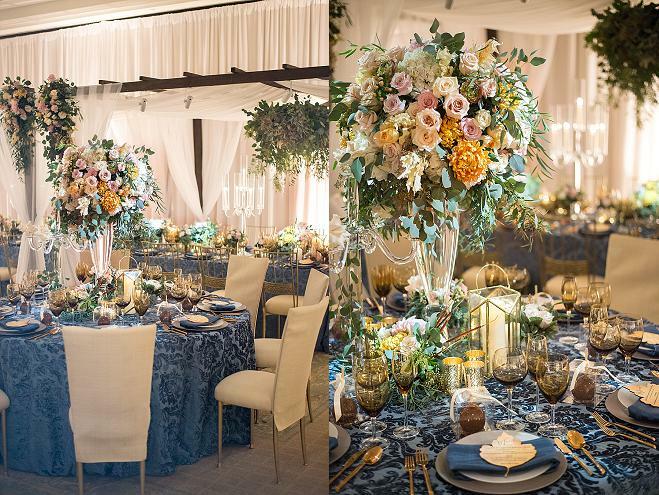 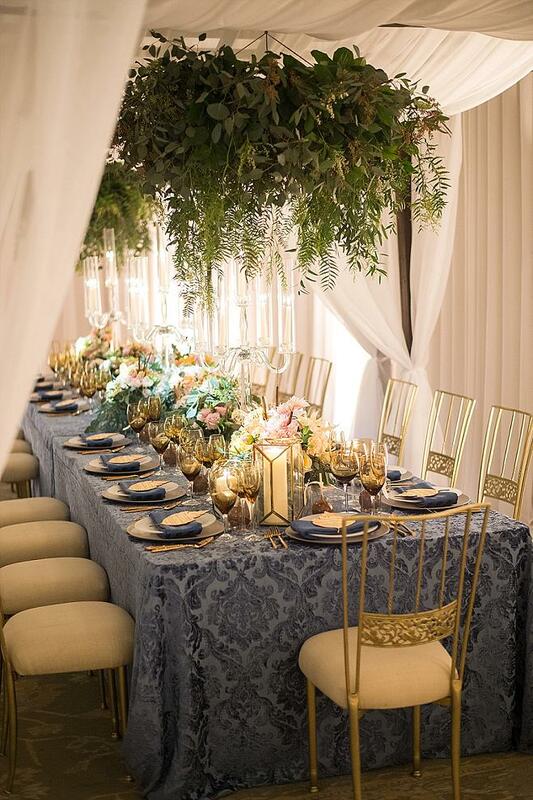 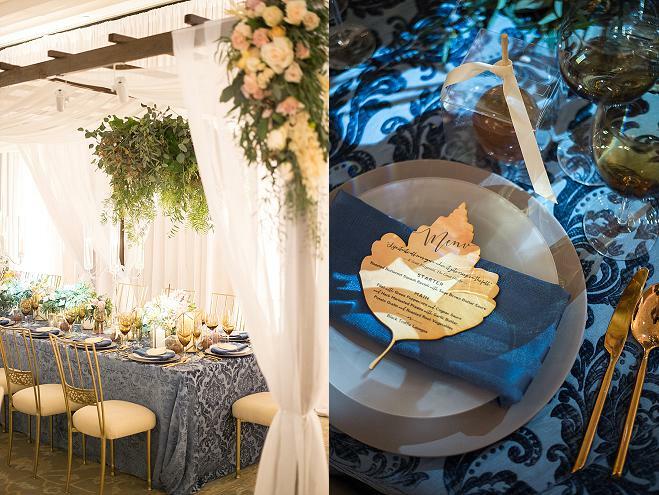 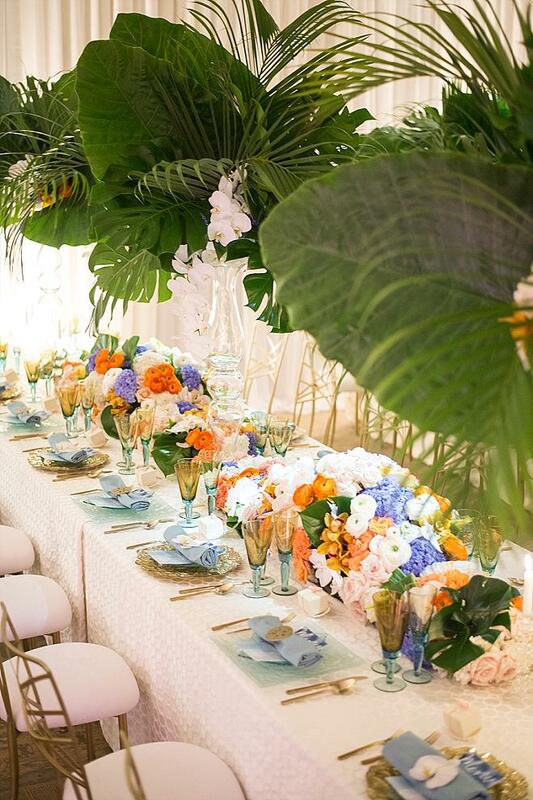 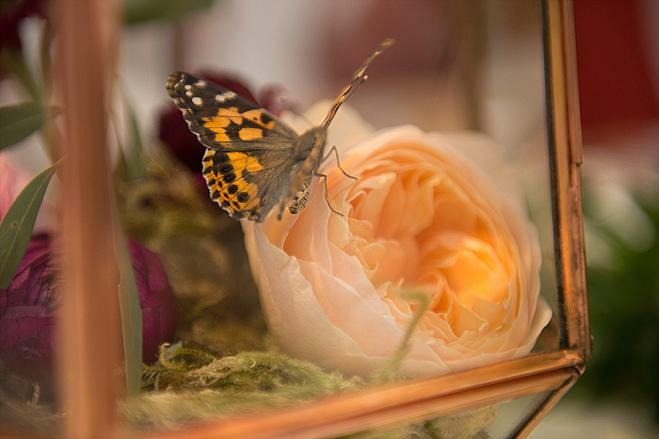 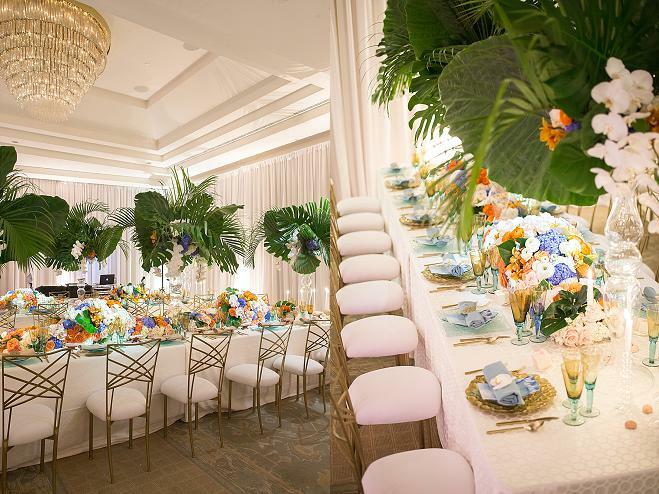 For WIPA SoCal's (Wedding Industry Professionals of America) March meeting at the Island Hotel Newport Beach, four talented design teams set their creative minds to work creating stunning reception settings inspired by Fall, Winter, Spring and Summer. 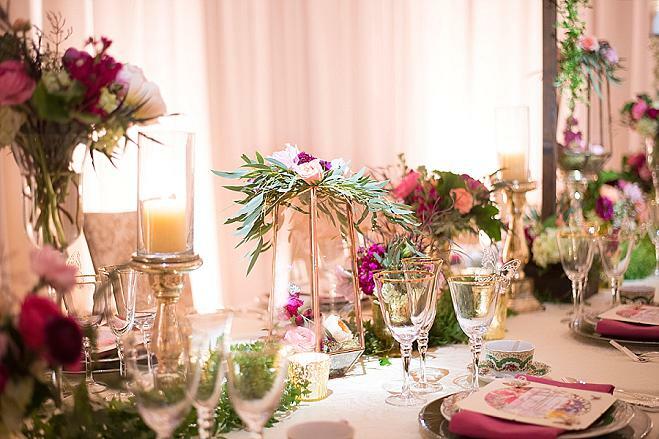 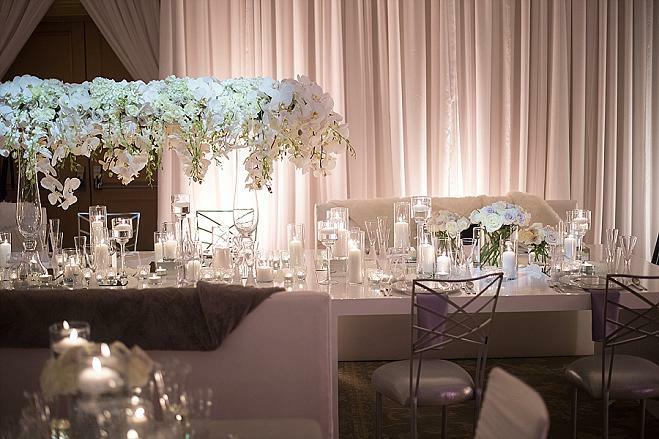 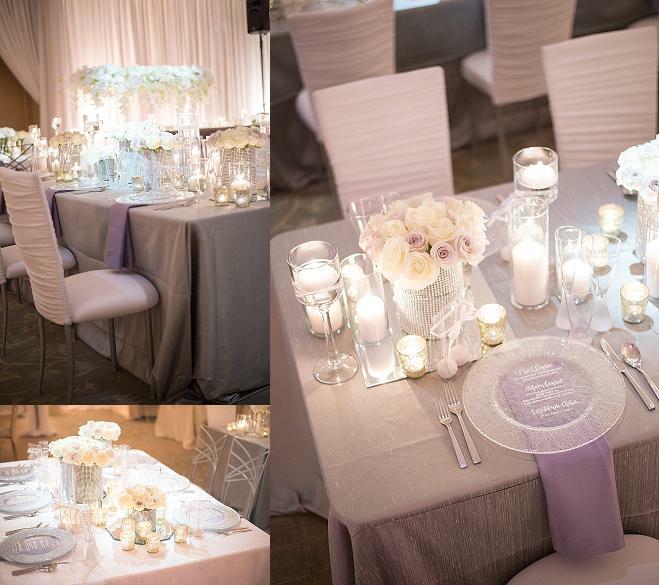 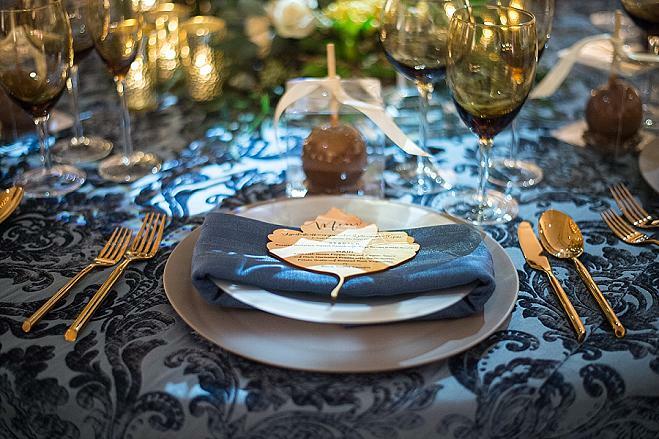 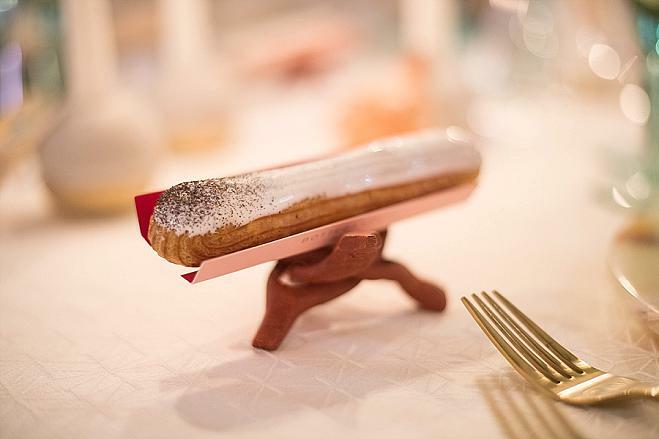 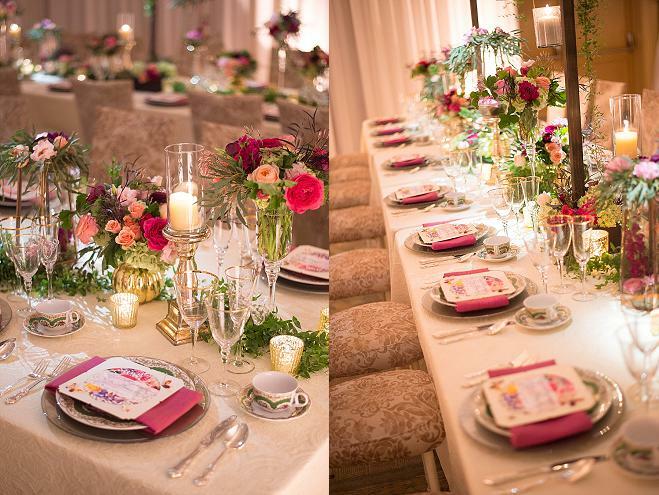 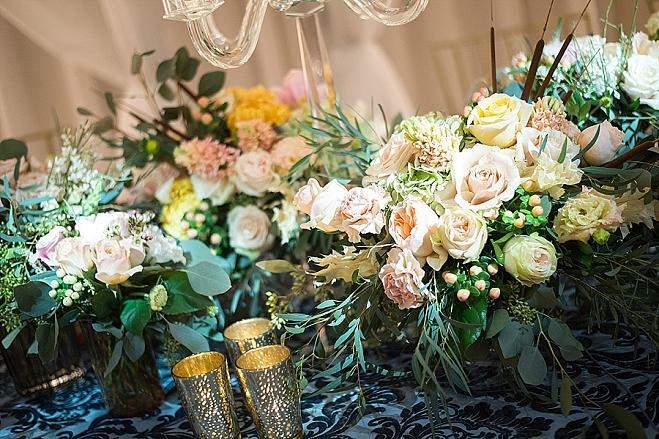 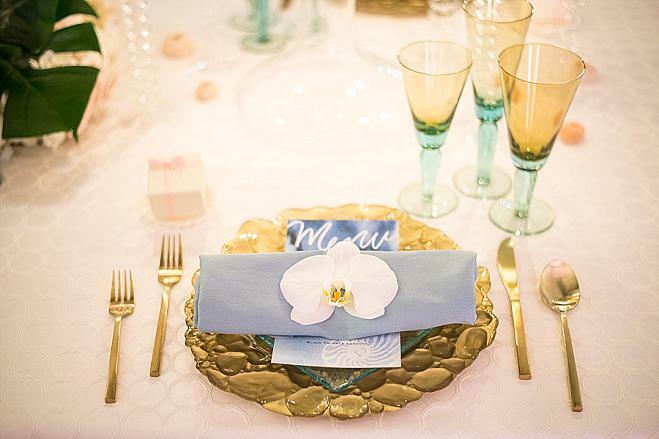 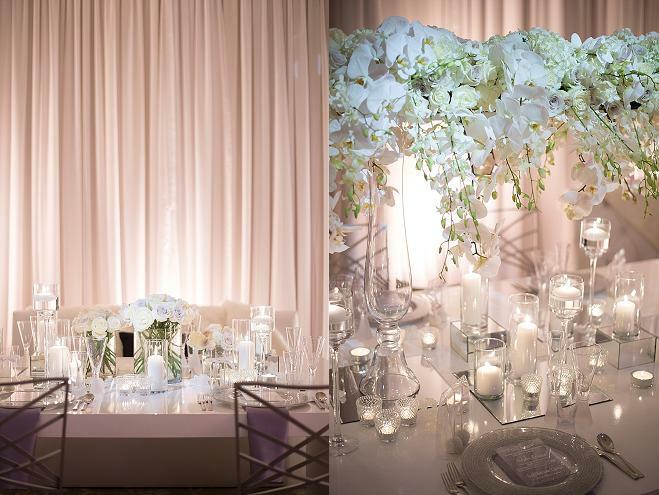 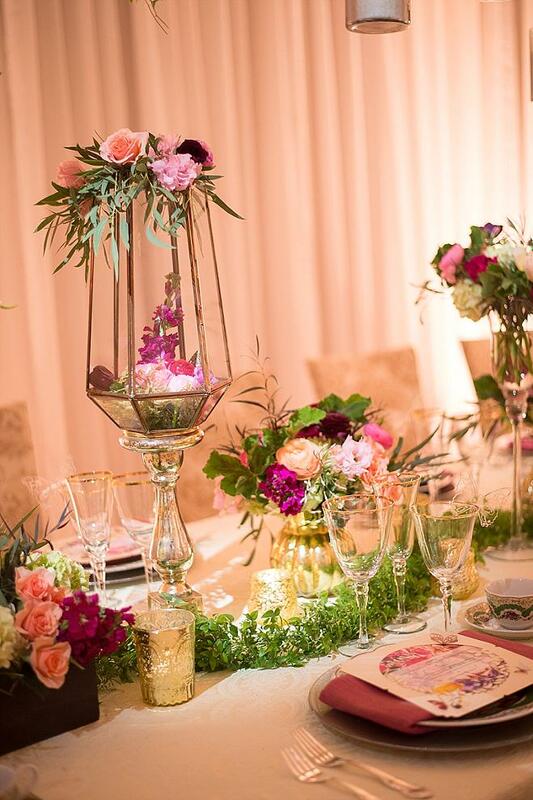 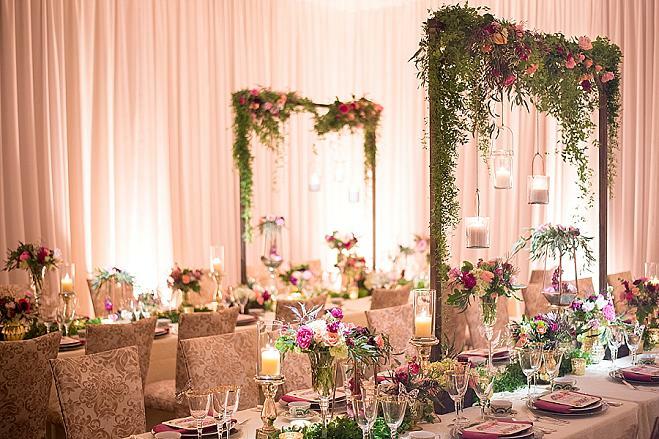 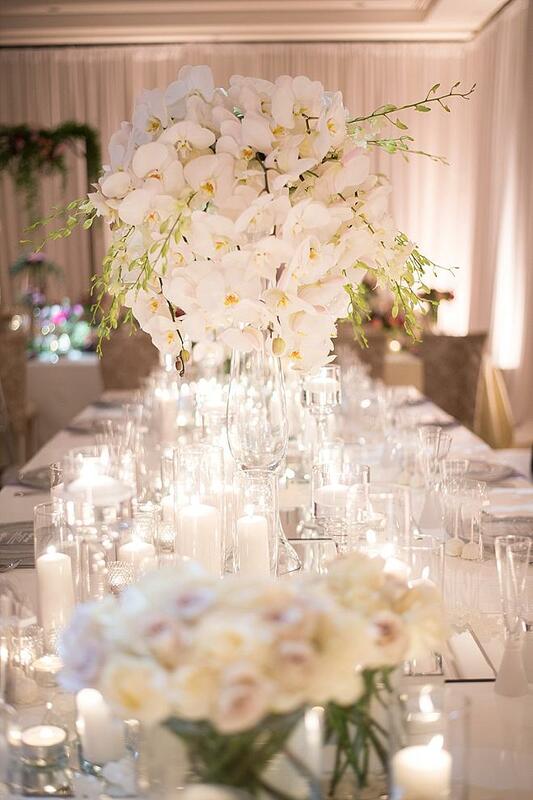 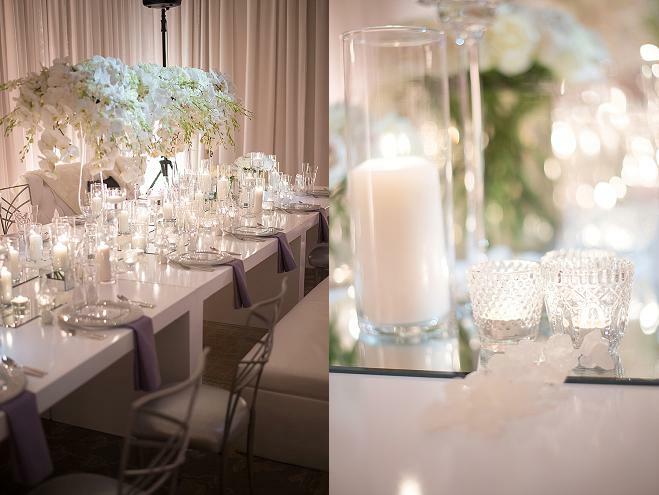 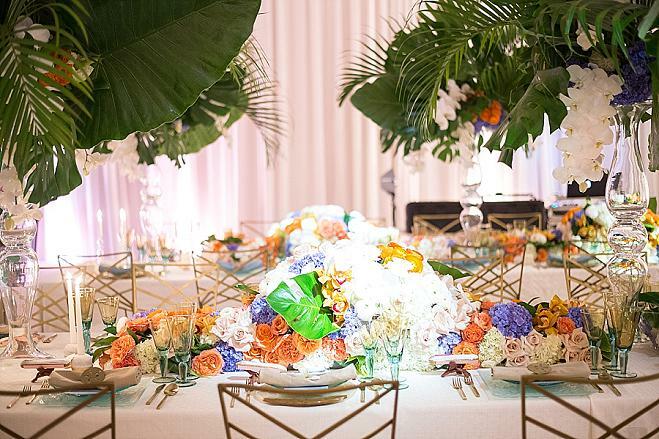 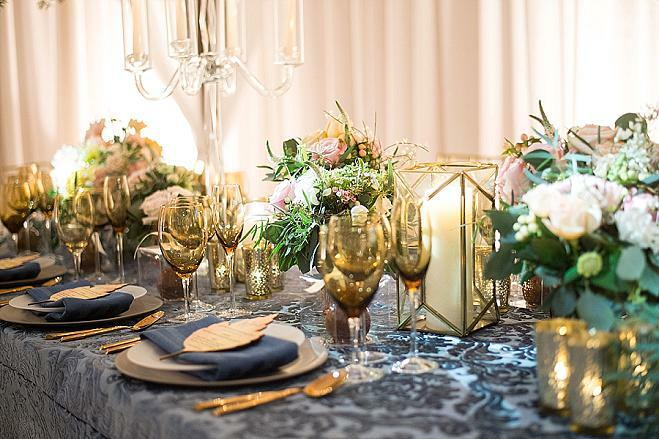 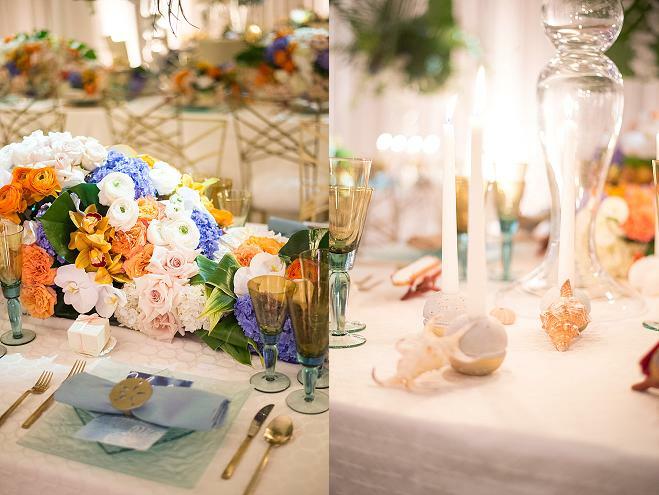 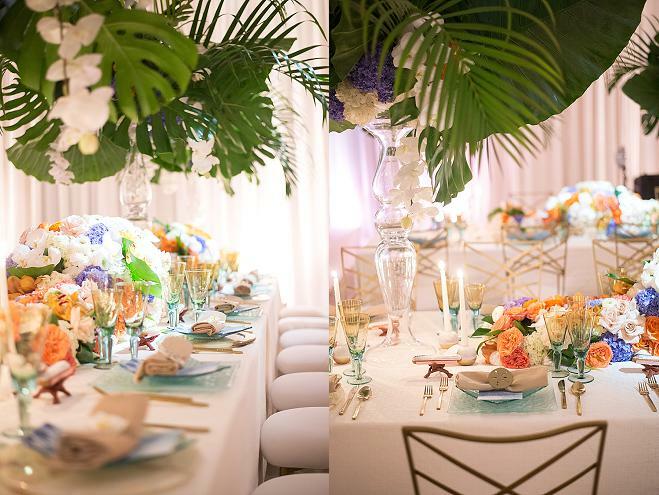 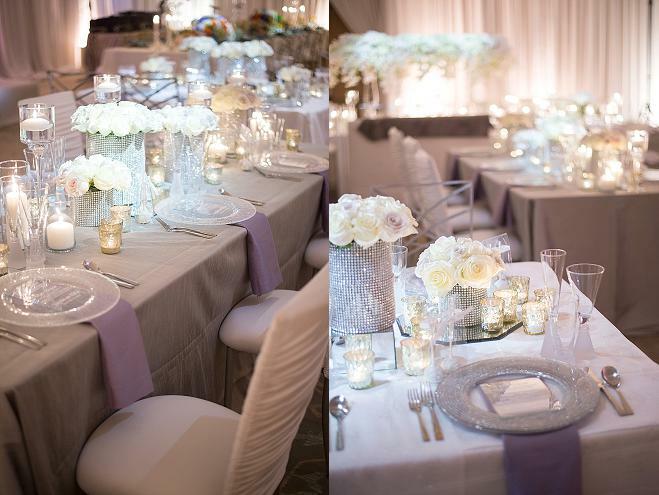 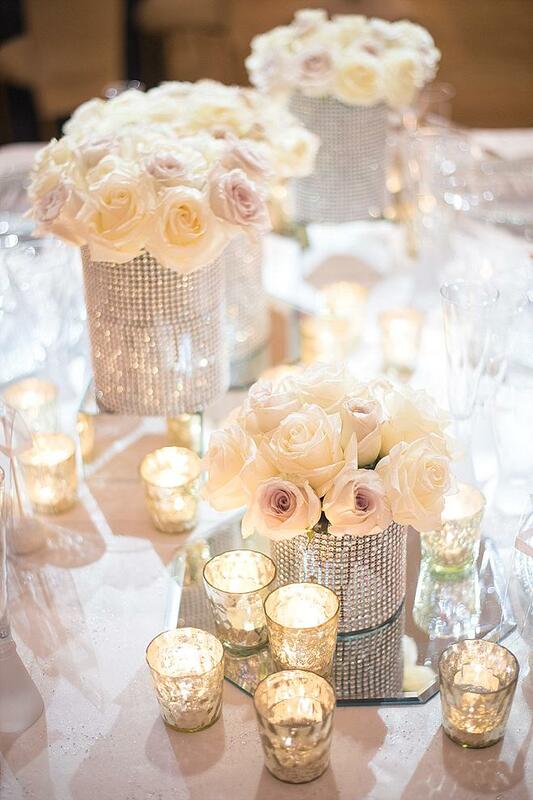 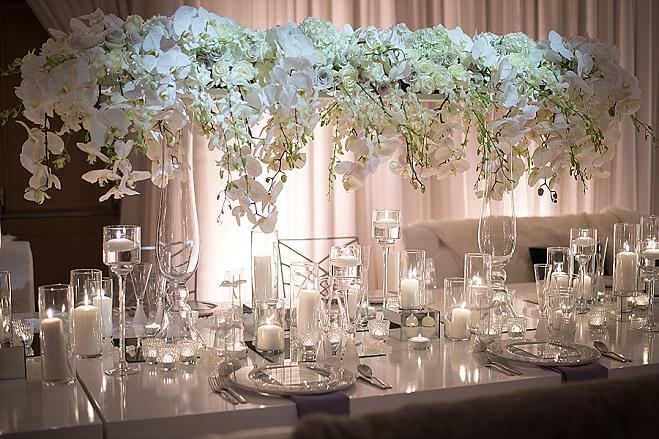 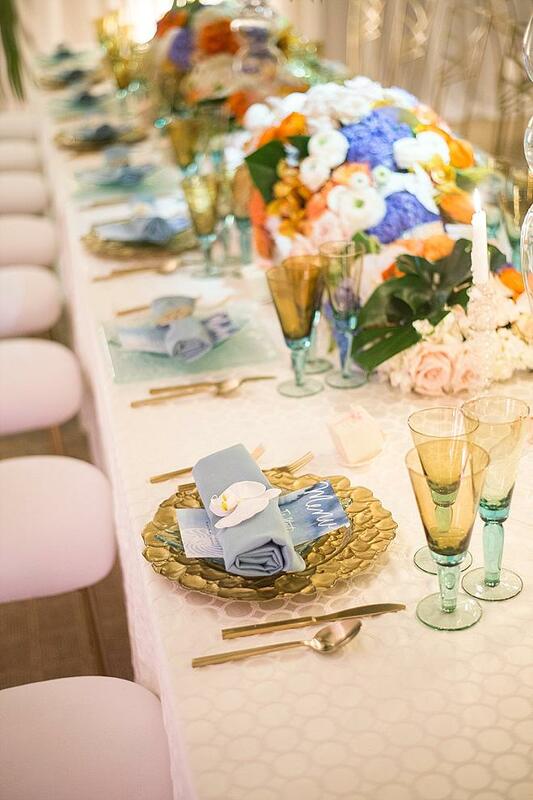 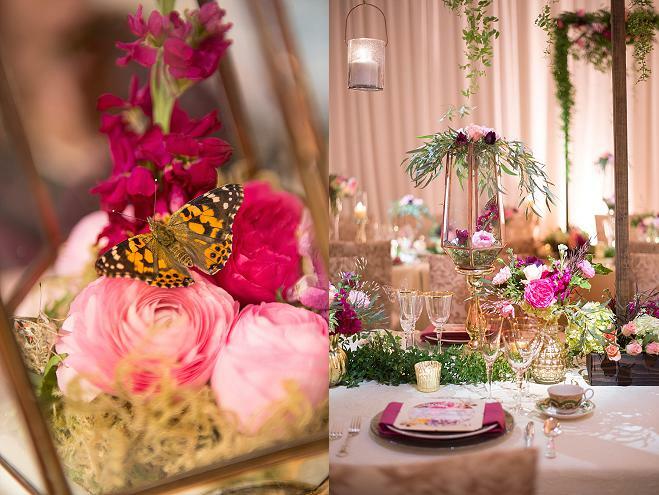 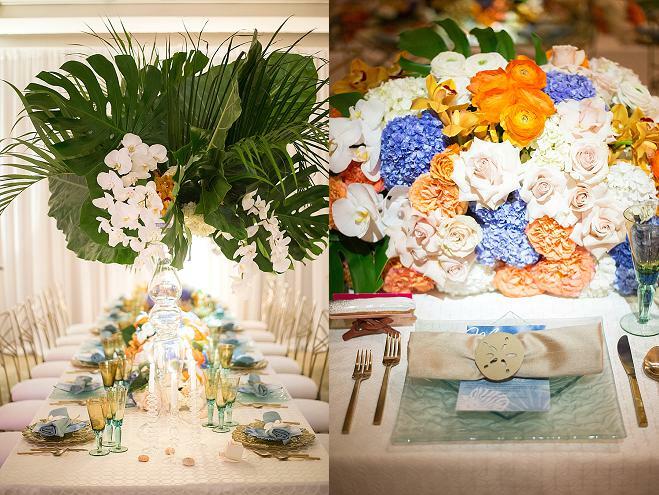 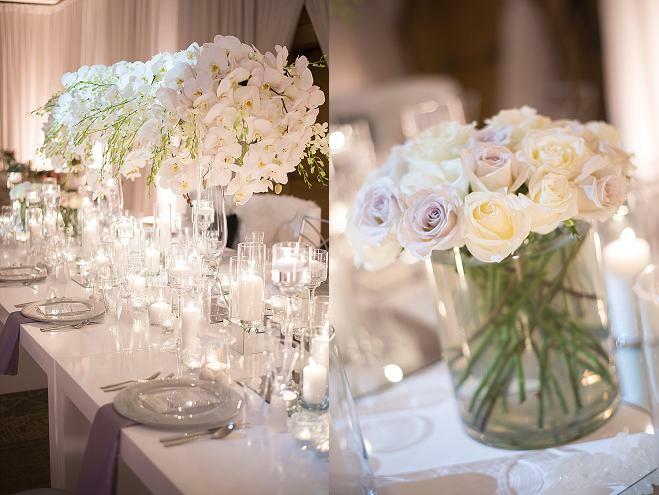 We loved these beautiful tablescapes so much that we just had to share them. 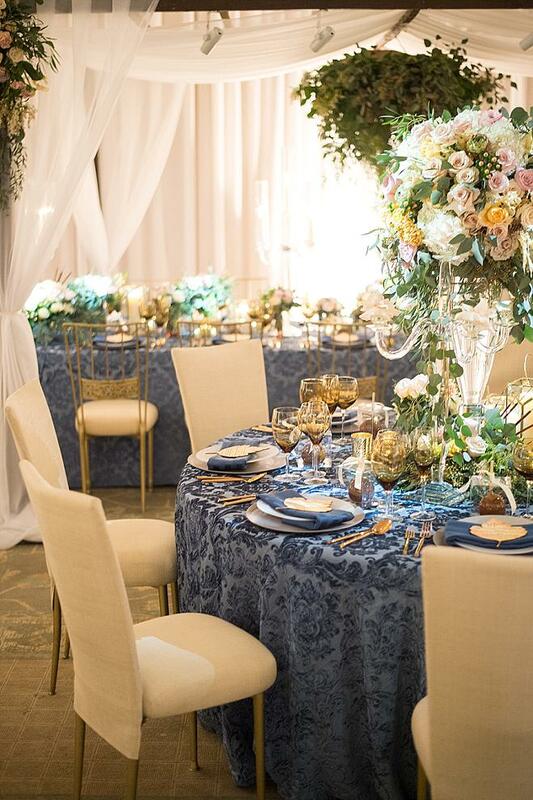 Cool blues, frosty whites, fresh greens and bold pinks set the tone for four uniquely beautiful and inspiring settings.